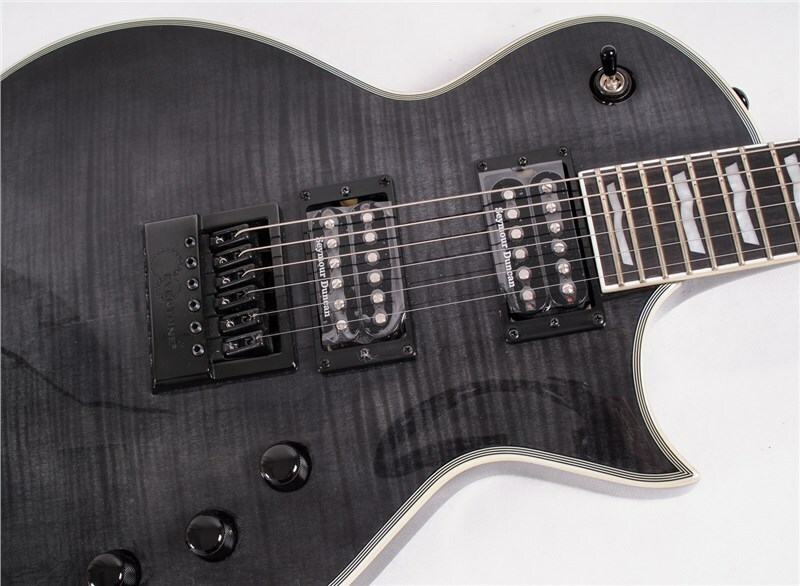 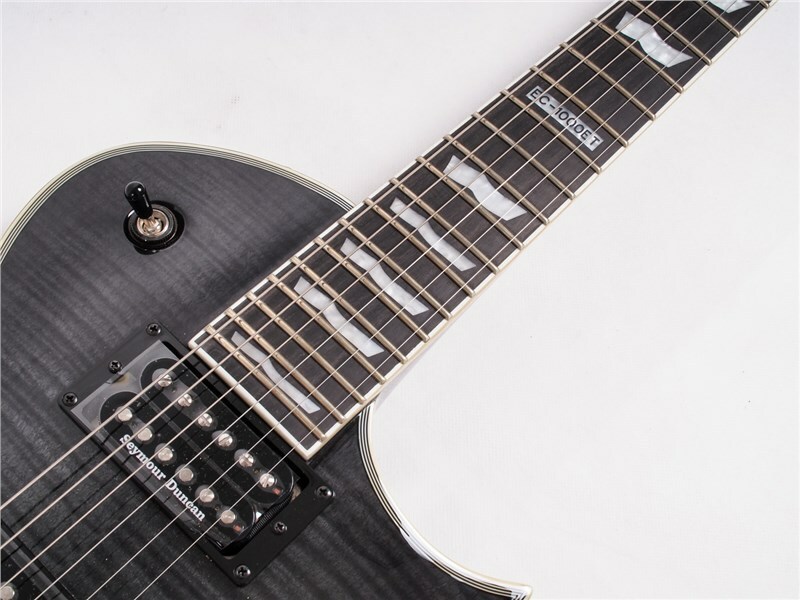 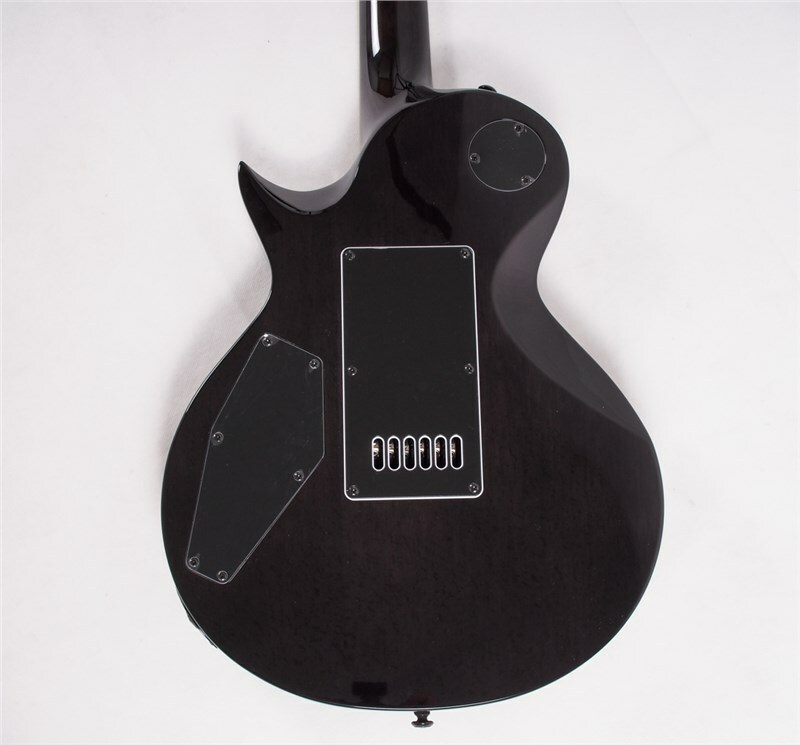 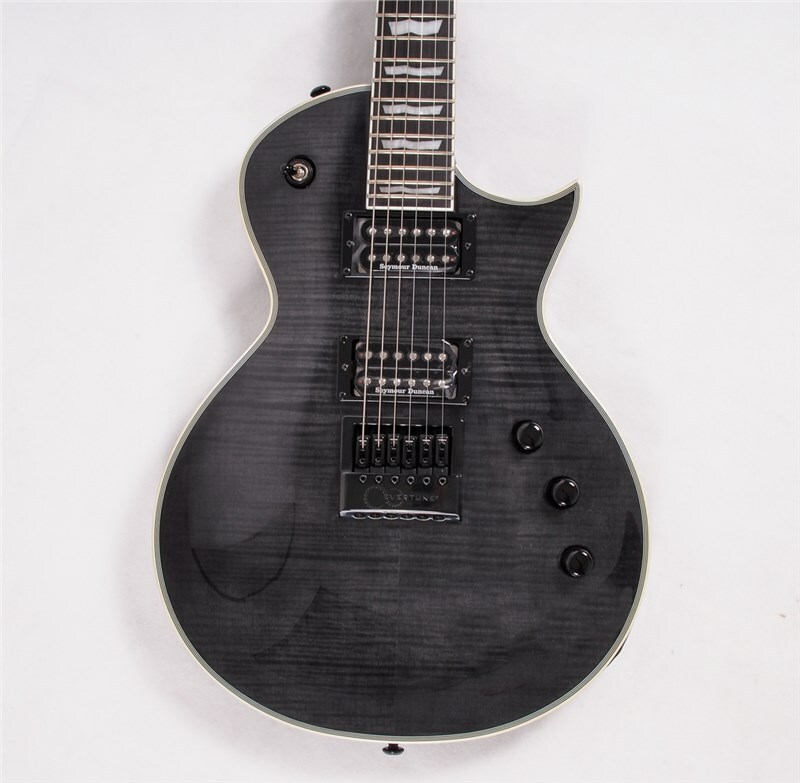 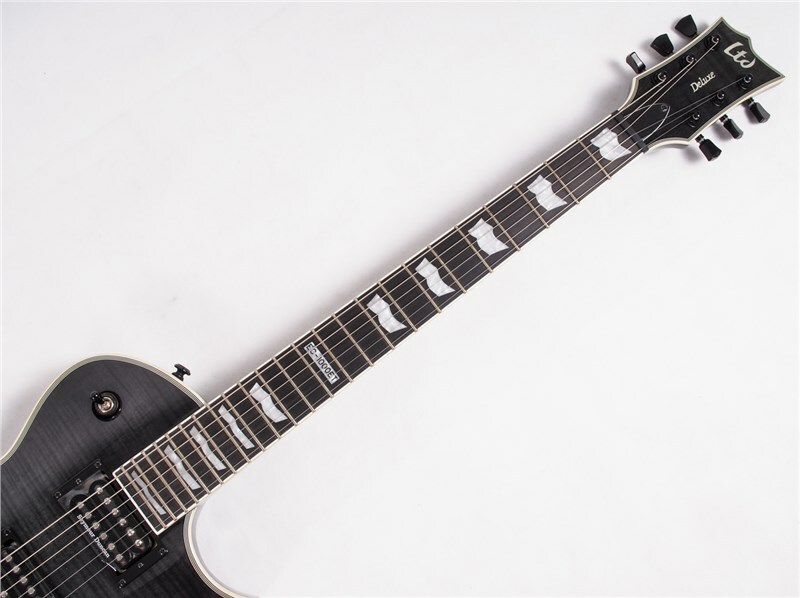 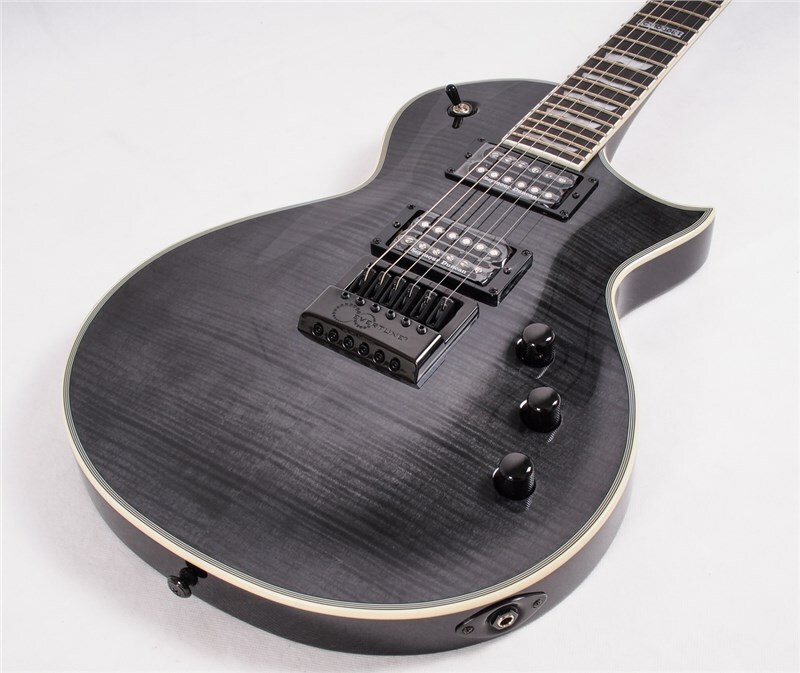 The ESP LTD EC-1000ETFM in see-thru black is an exciting addition to the LTD lineup for 2015. 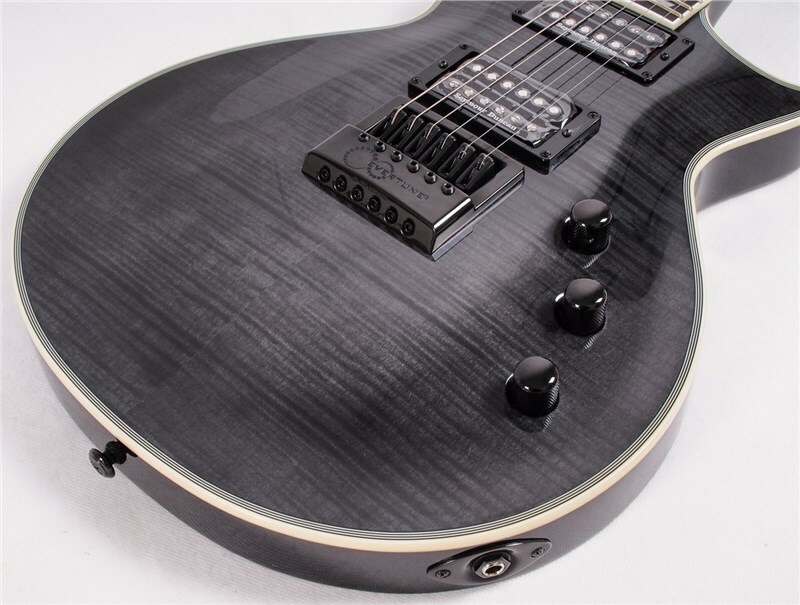 Seymour duncan pickups, mahogany body, flamed maple top and ebony fingerboard all contribute to making the EC-1000ETFM a great guitar- but that's not all. 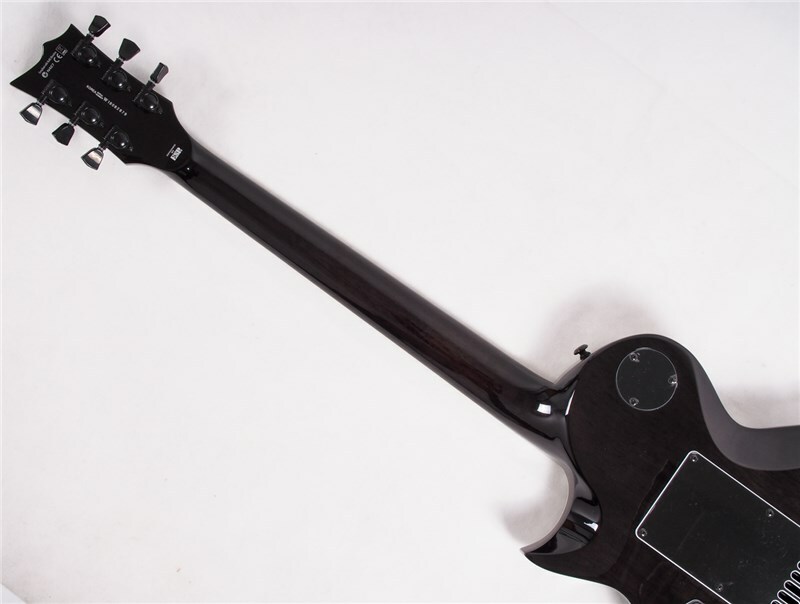 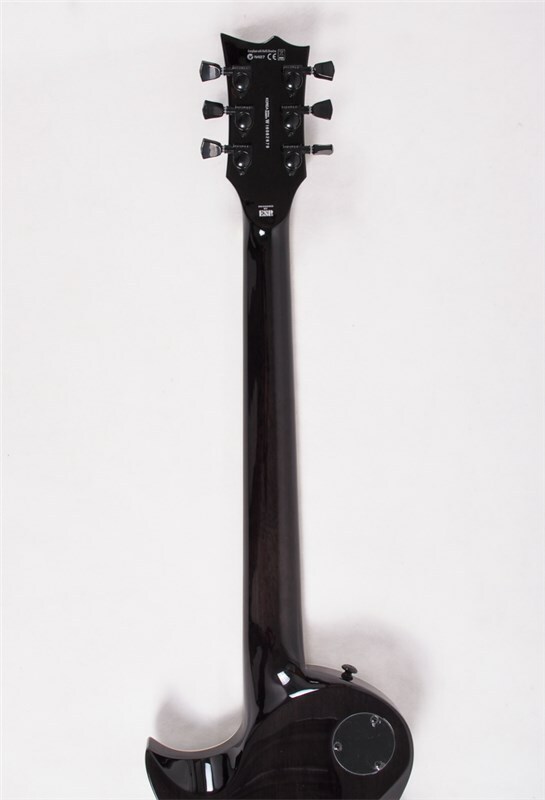 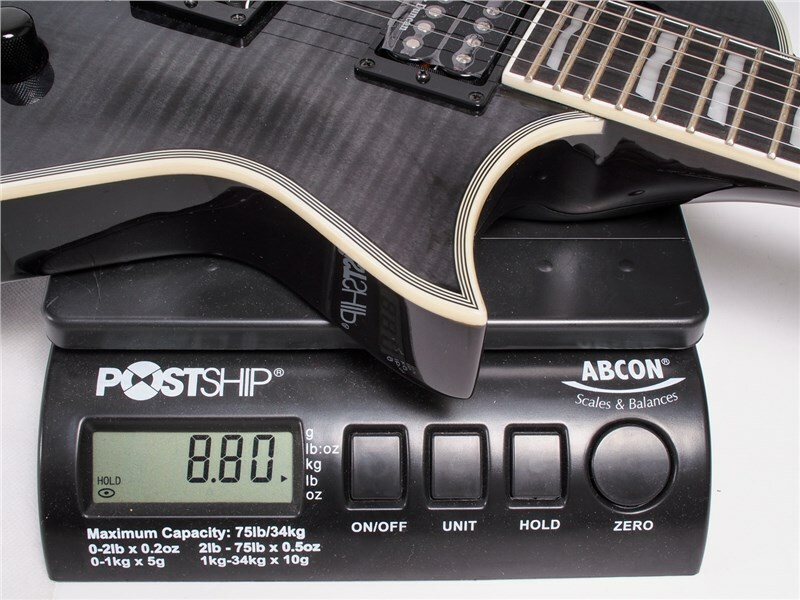 The EverTune bridge system means the EC-1000ETFM will hold it's tuning no matter what. 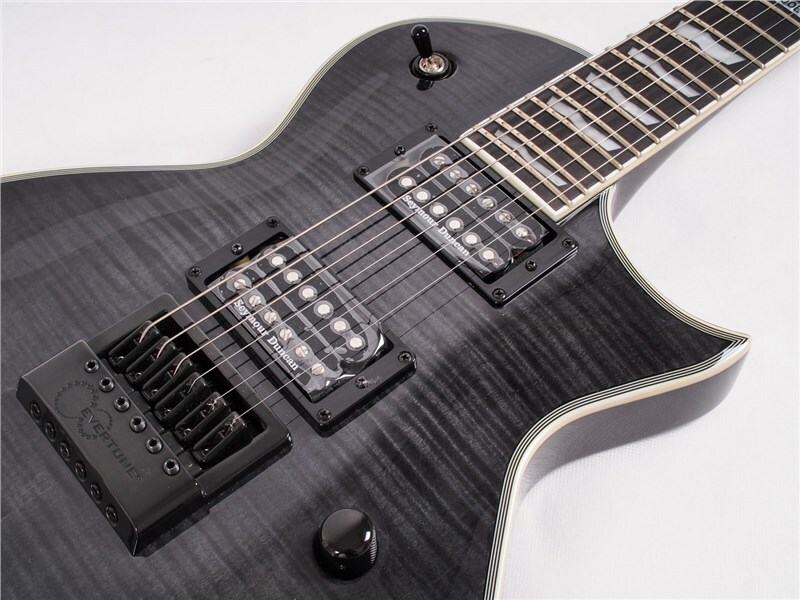 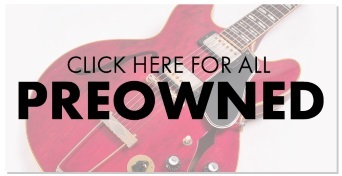 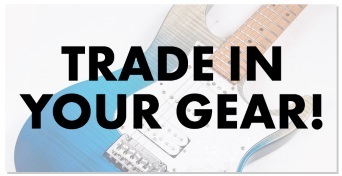 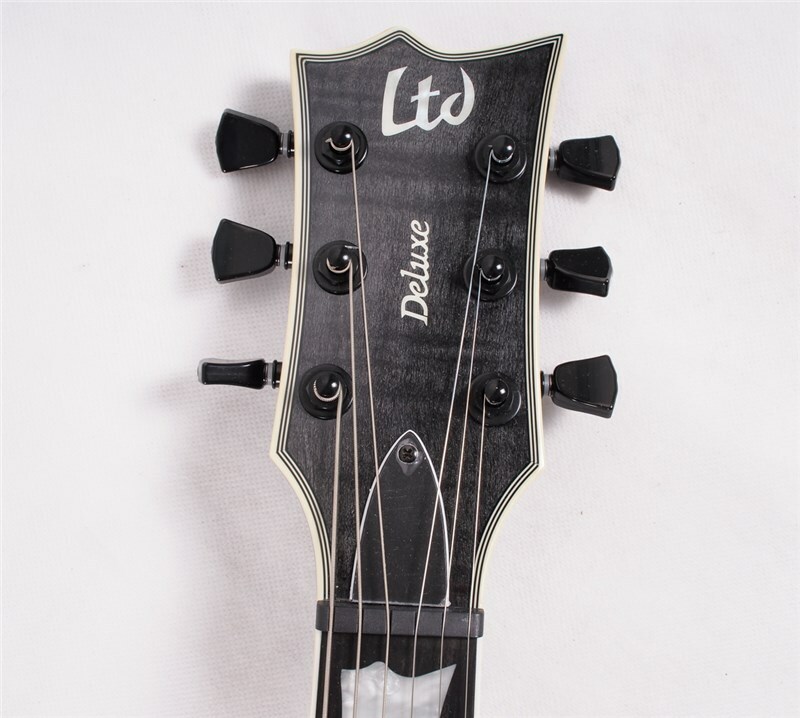 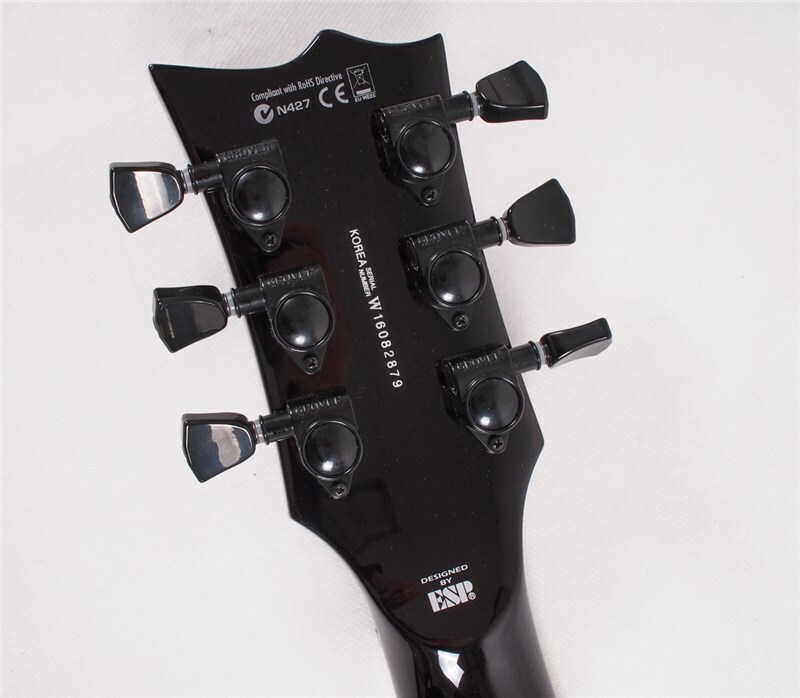 Many guitarists believe the EverTune bridge is one of the greatest mechanical guitar modifications since the locking tremolo, and LTD are at the forefront of this amazing innovation.